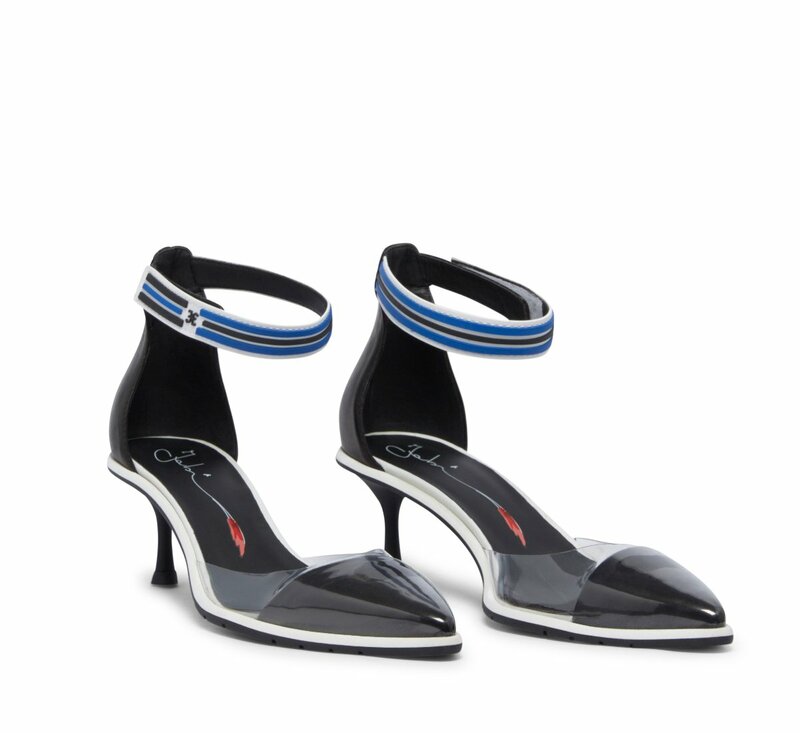 Fabi slingbacks with tapering toe and strap with rubberised details. The front part is covered with an original and stylish PVC film. Rubber sole and stiletto heel.